Well gents...I don’t care how much one has or at what level!!! I think that we can all likely agree that great family and friends...great food...and great drink all enjoyed together equates to the good life! Tonight I got to enjoy all three...the food was short ribs, and the wine was a delicious pinot noir! A gentleman likely would not overindulge so I only had one glass! 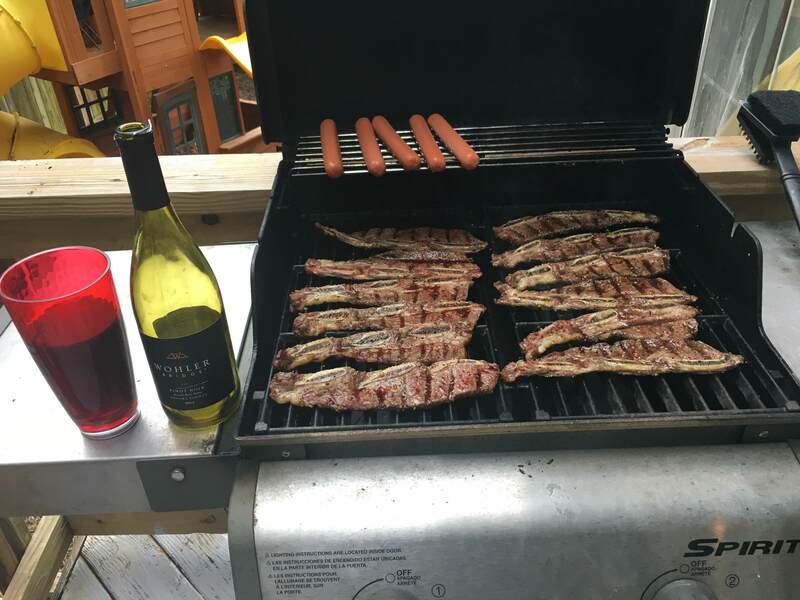 How did the hot dogs pair with your wine selection? That looks like a Korean cut. 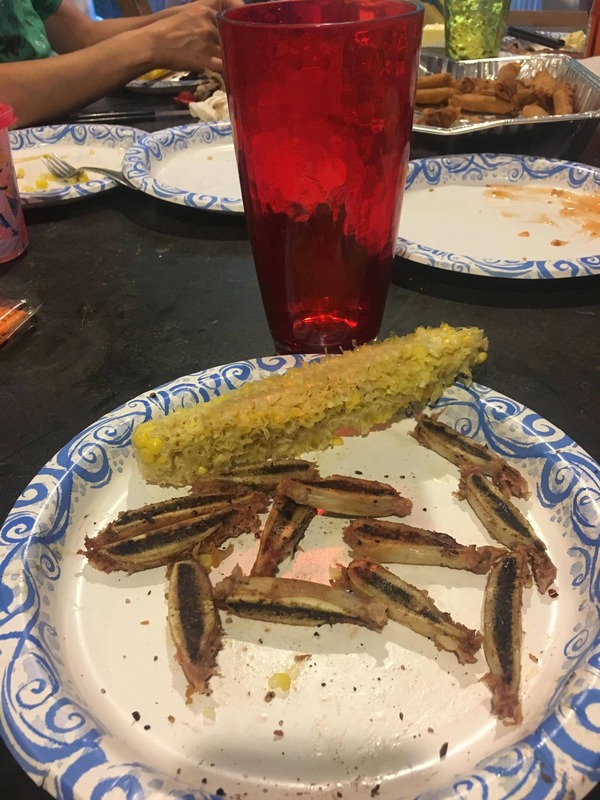 How was it seasoned? Hi guys! The hot dogs were for the kids...Ahahah...I swear! What doesn’t Pinot Noir pair with though?!?!?! I am not sure about them being an Asian cut...my buddy who taught me, learned the recipe from a crazy Argentinian fellow! As far as purchase and prep...they were purchased at a global food market down the road...prep was to baste them with olive oil, and then sprinkle some Montreal steak seasoning on them. After I took them off the grill, I wrapped them in silver foil for about 5-10 minutes just to let them mature. Killer combination to be sure! It had been aging in my basement for a couple of years now, and it was absolutely superb! My glass actually only held a little over two thirds of the bottle, so one of my guests got to enjoy the rest. She really loved it, and had to know the brand/year. The remainder of the guests got to enjoy a nice Greg Norman Shiraz! I do believe that you will love it if you decided to give it a whirl! Those pictures were great. I hope you gave those leftover bones to some doggie . You're killin' me here! Shortribs are my favorite all time cut of beef and they are definitely on my "eat only a bite" (at most) list.